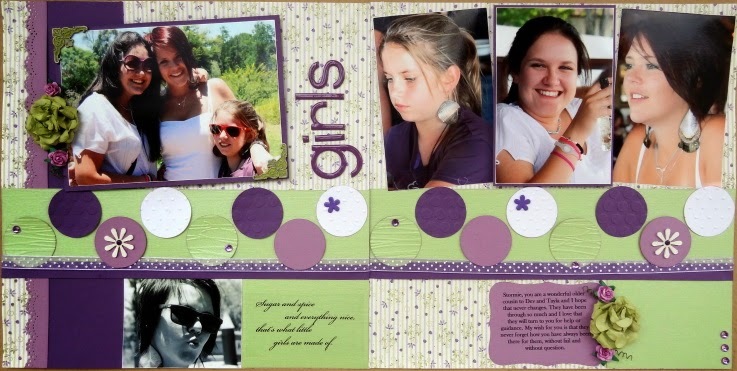 Today I have a layout for a Challenge over at Let's Scrap hosted by Lori Johnson Apgar and her challenge is to Get Inky. Any kind of inking goes... the more uses the better. Here is the Let's Scrap sketch I used. Here is the layout I created for this challenge. I believe in Angels and I think that we have Angels that come and go in our lives depending on what we need some stay all the time and some only stay for a while, I have a parking Angel that is exceptional - seriously! I NEVER have a problem getting parking exactly where I need to. 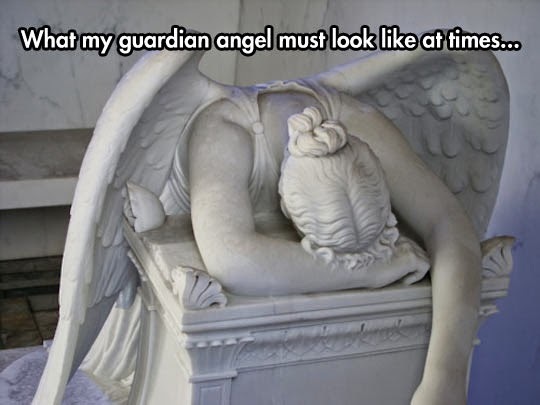 I have an amazing guardian Angel who watches over me and my family and keeps us safe. I know I have a creative Angel and sometimes I think she looks like this. I know she is desperately trying to get me to embrace imperfection but it is the one thing that is SO hard for me to do. BUT ... I had a look at my first layout from when I joined LS as a DT member back in April 2012, it was my very first DT spot too :) and I realise just how far I have come. All precisely measured and left and right matching, no untidy inking or splashes and splats or messy writing for that matter. Just neatly typed and pristine clean. So when I look back on just how much my scrapping has evolved over the last two years I reckon she is winning the battle. I reckon she must be giving a huge sigh of relief right now too. I started off using heavy duty watercolour paper to try and stop the buckling - still the thing that bugs me the most :) I added the fussy cut butterfly from tissue paper using mod podge. Then some texture with a Tim Holtz stencil and gesso and then I was ready to give the area a light wash of gesso. Once it was all completely dry I was ready to add some Distress Inks in peach and turquoise, watered down to create a watercolour effect . Lastly I added the flowers, butterfly and the cotton and of course a little bling. Thanks so much for stopping by to take a look, and for taking the time to leave me your comments. I really appreciate it. wow Valerie!! Everything about this layout shouts "PERFECT"! It's absolutely beautiful, dreamy and well-balanced in every way. Know exactly how you feel about that very first layout and how far you've come in your scrapping career, and I'm so happy for you that you're finding your little niche. Despite what you say about your angel having a hard time, I think she must be having a whale of a time watching you grow and bloom into a talented individual. Good on ya! My angel would need Red Bull! Perfection! Perfectly imperfect!!! LOOOOVE how you've used that tissue paper butterfly......a new fave!!!! And it is REALLY interesting to see how our style has changed - but I have to say, I rather like the double......those circles are CUTE!!! Love the layout & love how you've evolved your style! Look at you go Val!!! <3 You have progressed amazingly :) What a wonderful and inspiring layout. I love angels, I collect them for my Christmas decor with one part of my bookcase devoted to them. Another amazing page! I truly believe in angels too and always believe that there are angels watching over me and my family! You have no idea, how much I needed that reminder today! 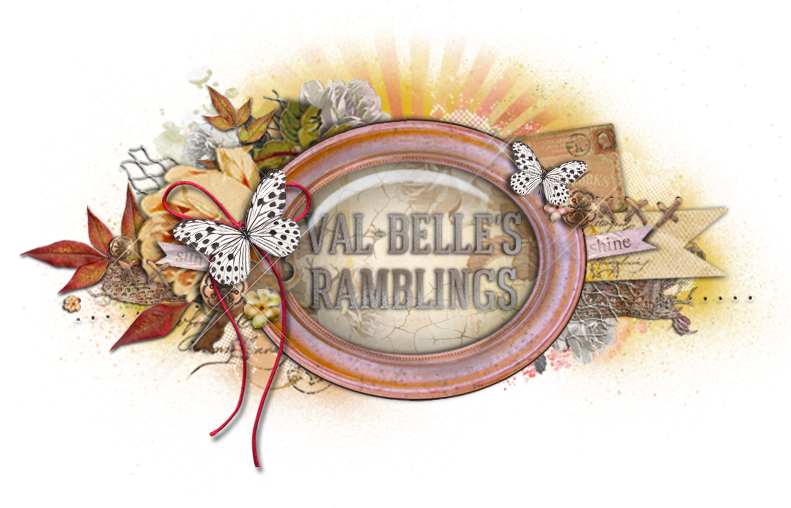 Beautiful page Val. 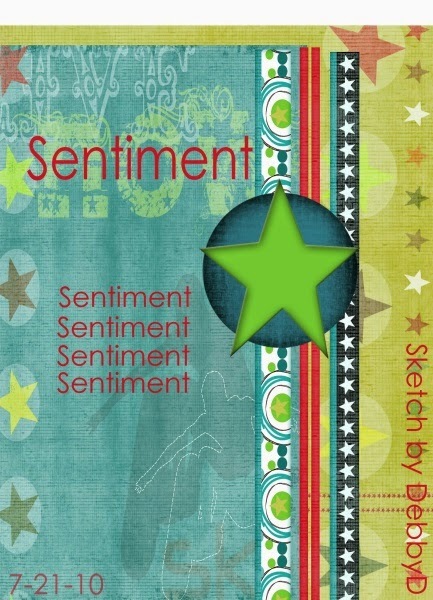 Your mixed media background are getting more and more beautiful with every page you make. I was looking on pinterest tonight (instead of making projects that have to be ready this week). And I saw this beautiful layout, click on it and tadaaaaa ....VAL ! I cant remember I have seen this before, I think it was in the busy summermonths. I just love it ! The soft colors with the funky stamping. Super!